The Japanese have done it yet again! Another crazy invention that will render you half-amused and half-impressed. The summers are getting hotter each year and it is challenging to keep your armpits dry so they would not stink. What do we normally use? deodorants, body sprays, roll-on but some inventors have come up with a tech-savvy alternative: clip-on armpit fans. The Waki no Shita Kura (English translation: Under the Armpit Cooling Device) was invented by Japanese gadget making company “Thanko“. 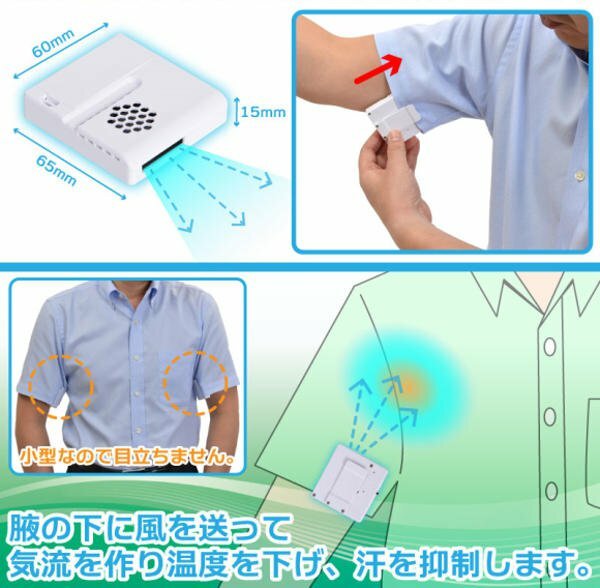 The device uses a small fan that can be clipped to one’s sleeve as it creates ventilation in to and from armpits. 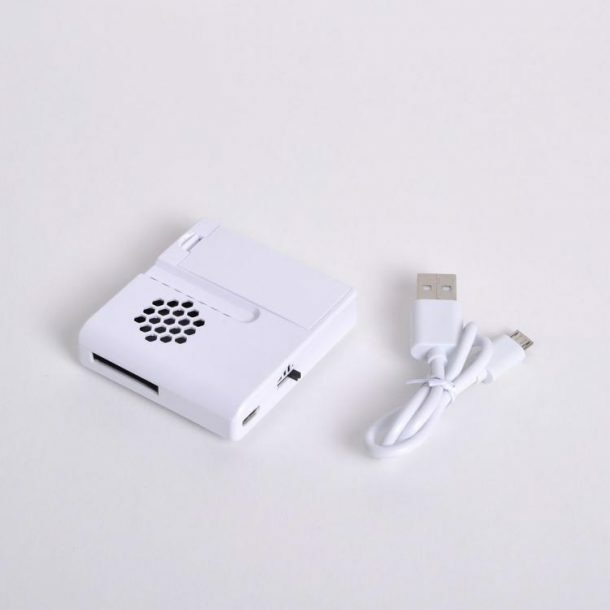 The device uses three triple A batteries as a power source and can run for 5-9 hours depending on the speed of the fan. If you want to increase the running time, power the fan by connecting to PC. Thanko reveals that armpit fans are light about 30 gm or 1 oz so you feel any weight on your sleeve. It is also small, about (60 x 65 x 15)mm in size Additionally, the device is noise-free, so you need not worry about people noticing your buzzing armpits. Another interesting thing is that you can also clip it to your shirt and it will keep your chest and neck area cool. 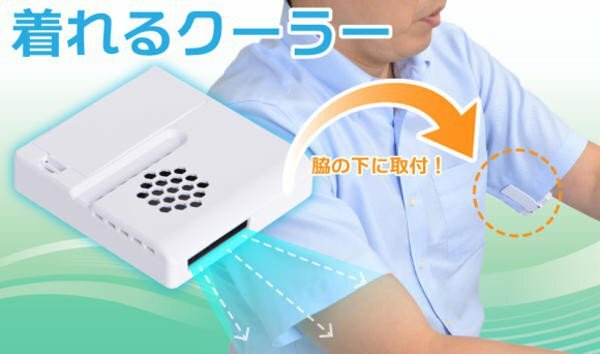 The Armpit Cooling Device by Thanko is currently available at Japan Trend Shop and costs $24 but since we all have two armpits so that makes it $58 unless, of course, you plan to shift the device between two armpits. Yes, it is true that deodorant is cheaper and simpler choice, but come on! the thing is worth buying because of its innovation. This armpit fan is one of the many wacky inventions credited to the Japanese over the years. Remember the hugging chair for the lonely or sad? Yep, it was creepy. The speech jammer was useful to make people stop talking. Oh, and the Necomimi, those wearable cat ears controlled by brain signals! What do you say? Would you try out this armpit fan?